Dr Raoul-Gabriel Urma is the CEO and Founder of Cambridge Spark, a leading learning organisation for data scientists and developers. In particular, Cambridge Spark has developed K.A.T.E.®, a proprietary AI system for technology L&D and assessment with the support of the UK innovation agency. He is author of several programming books, including the best-seller “Modern Java in Action: lambdas, streams, functional and reactive programming” which sold over 30,000 copies globally and with a second edition published in November 2018. 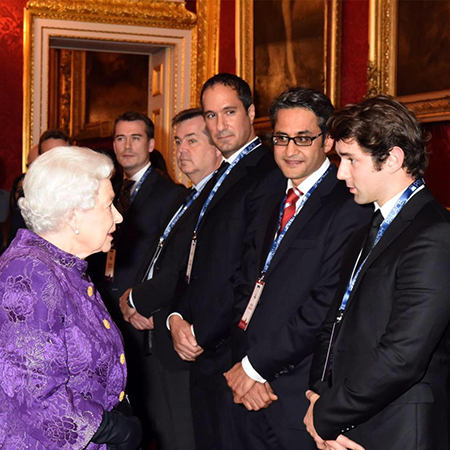 Raoul holds a PhD in Computer Science from Cambridge University as well as a MEng in Computer Science from Imperial College London and graduated with first-class honours, having won several prizes for technical innovation. His research interests lie in the area of programming languages, compilers, source code analysis, machine learning and education. He was nominated an Oracle Java Champion in 2017. He is also an international speaker having delivered over 100 talks covering Artificial Intelligence, Business, Java and Python. Raoul has advised and worked for several organisations on large-scale software engineering projects including at Google, Oracle, eBay and Goldman Sachs. You can find Raoul’s profile on linkedin if you’d like to connect for collaboration, business opportunities or speaking engagements. 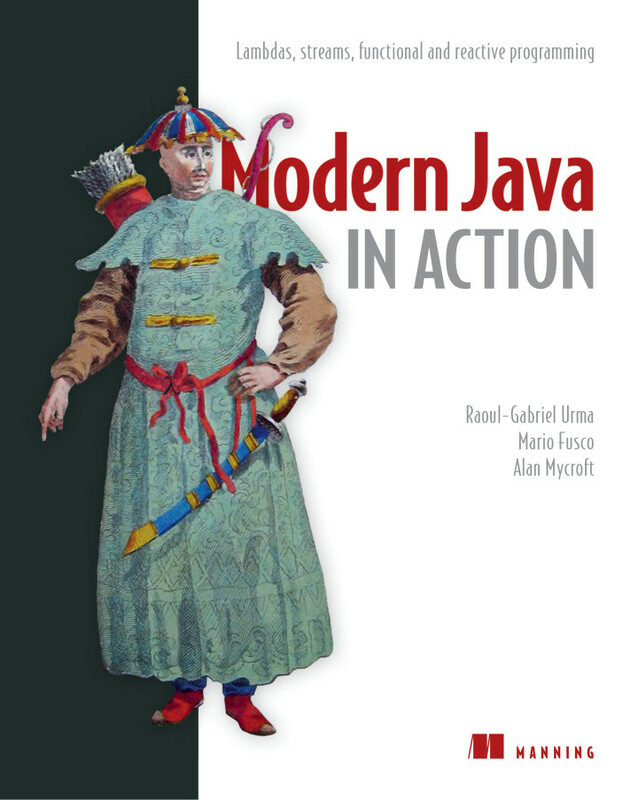 Modern Java in Action, released in November 2018, is the second edition of my best-selling book Java 8 in Action: Lambdas, streams and functional-style programming. As of December 2018 it has sold 30,000+ copies world wide. You can order it on the publisher website. This is my first book, Java 8 in Action, published in 2014. It is a clearly written guide to the new features of Java 8. The book begins with a practical introduction to lambdas, using real-world Java code. Next, it covers the new Streams API and shows how you can use it to make collection-based code radically easier to understand and maintain. It also explains other major Java 8 features including default methods, Optional, CompletableFuture, and the new Date and Time API. I’m currently writing a new book with my friend Richard Warburton. 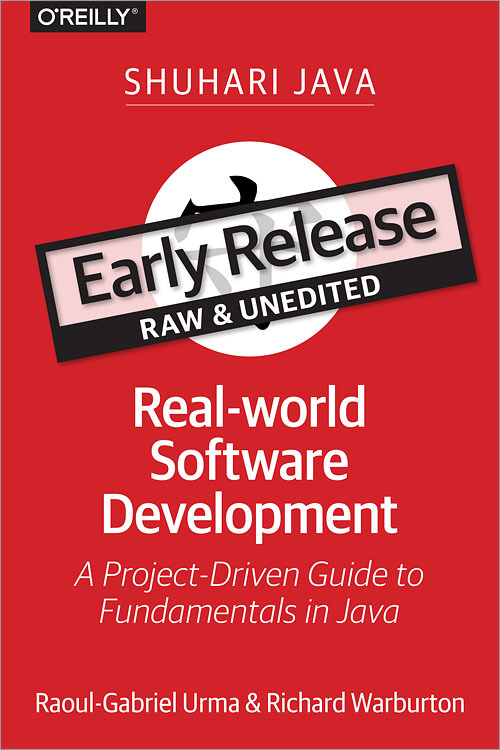 The book is entitled Real-world Software Development: A Project-Driven Guide to Fundamentals in Java. It scheduled for release in summer 2019. Explore the latest Java-based software development techniques and methodologies through the project-based approach in this practical guide. Unlike books that use abstract examples and lots of theory, Real-World Software Development shows you how to develop several relevant projects while learning best practices along the way. Java SE 8 is perhaps the largest change to Java in its history, led by its flagship feature—lambda expressions. If you’re an experienced developer looking to adopt Java 8 at work, this short guide will walk you through all of the major changes before taking a deep dive into lambda expressions and Java 8’s other big feature: the Streams API. I have delivered 100+ talks and workshops internationally. I’m open to speaking at conferences and corporate events. Get in touch via my linkedin or twitter.